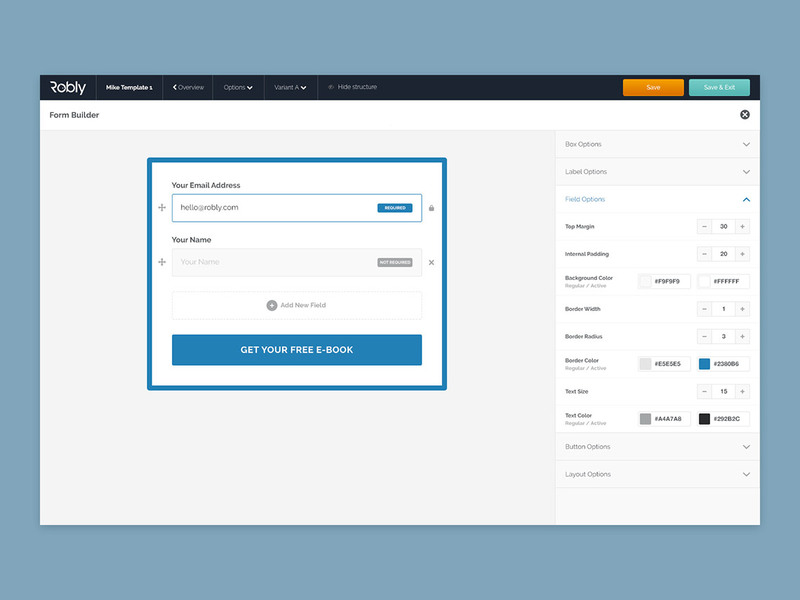 Creating our own digital products, and collaborating with startups and other inspired people on theirs. 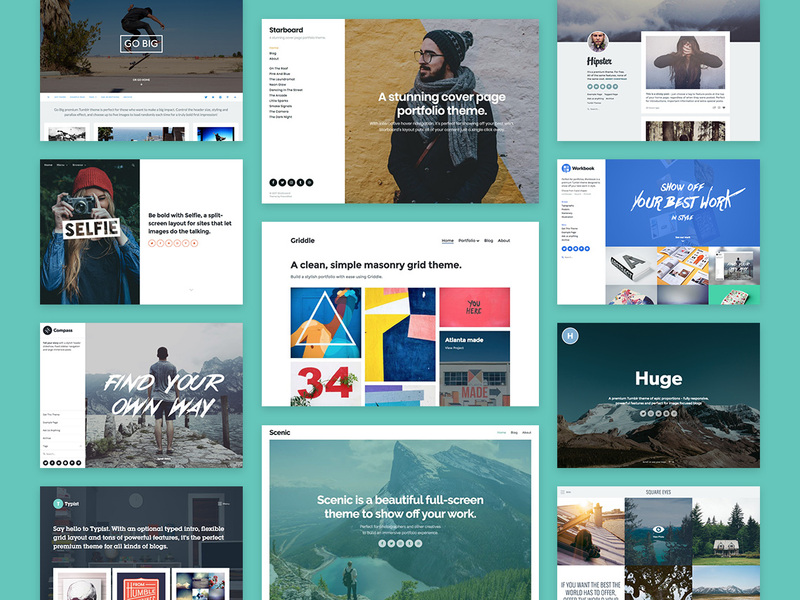 Amazing portfolio themes to showcase your work, for WordPress and Tumblr. 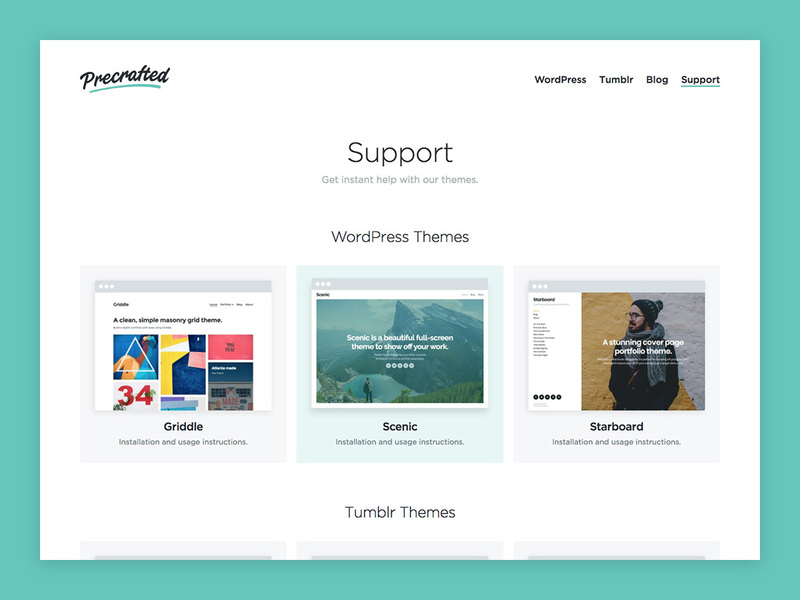 We started Precrafted a few years back as a side project, and it’s grown to power over 100,000 sites. 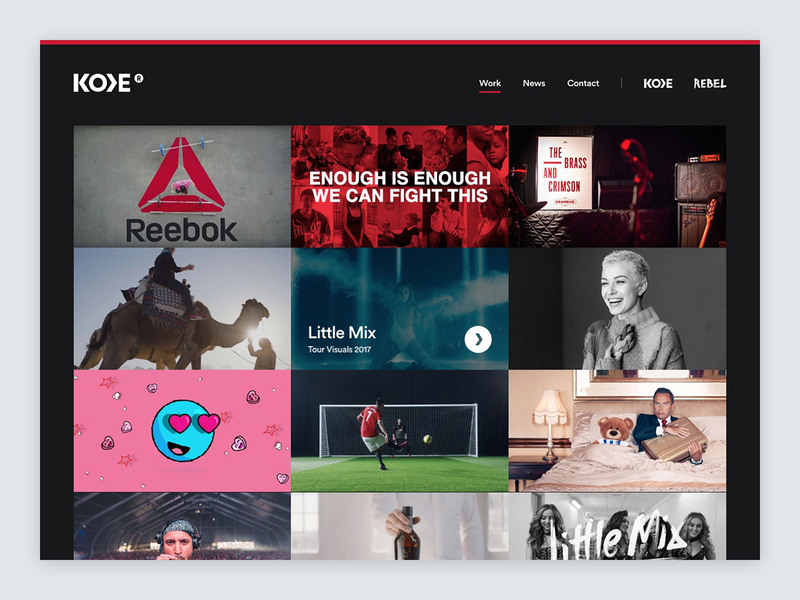 Tons of well-known brands like Nike, Amazon, Disney, Fox and countless others have trusted our themes to present their content on Tumblr. 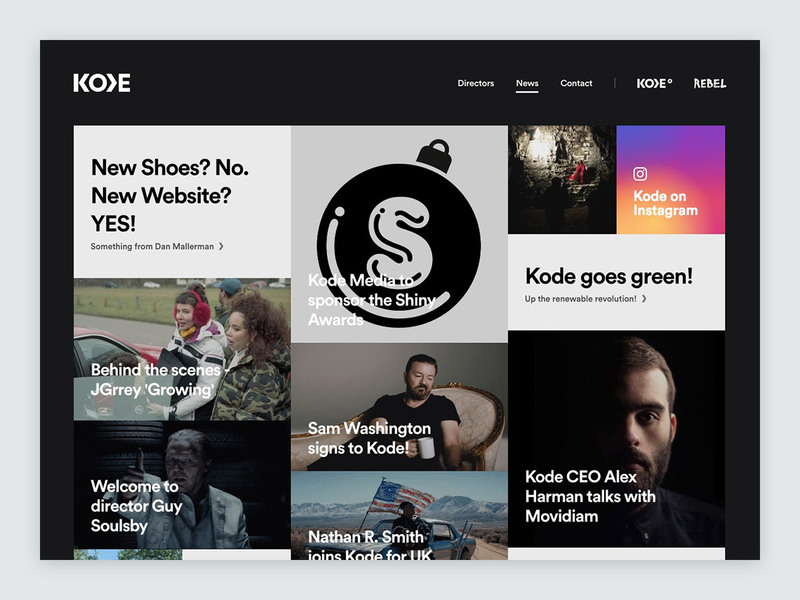 We’ve also helped thousands of independent creators to get their work out into the world. 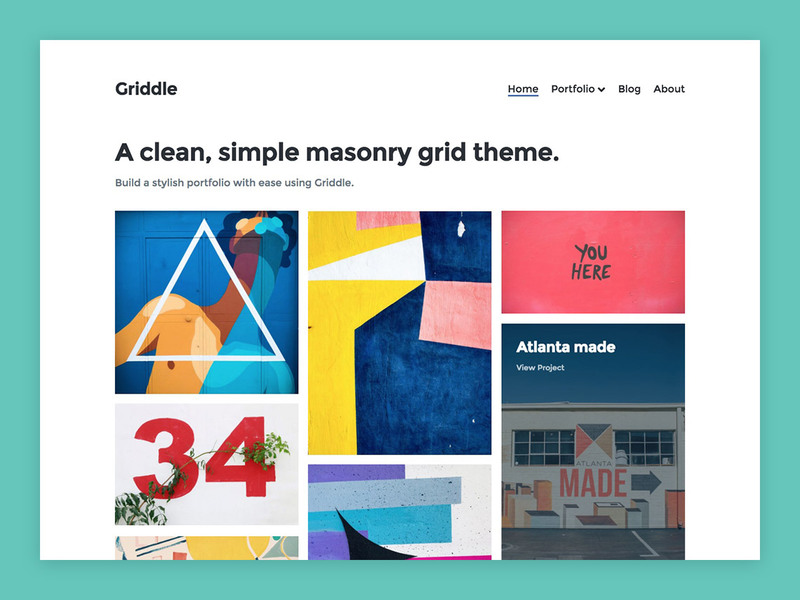 We recently expanded our offering to include WordPress themes, creating a collection of beautifully minimal portfolio themes that get out of the way and let the work do the talking. 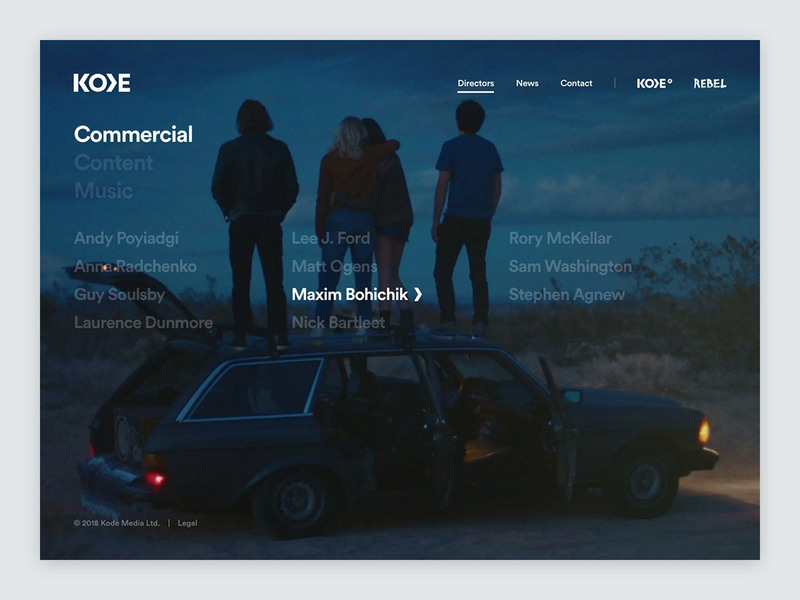 An immersive website for an award-winning London video production company. 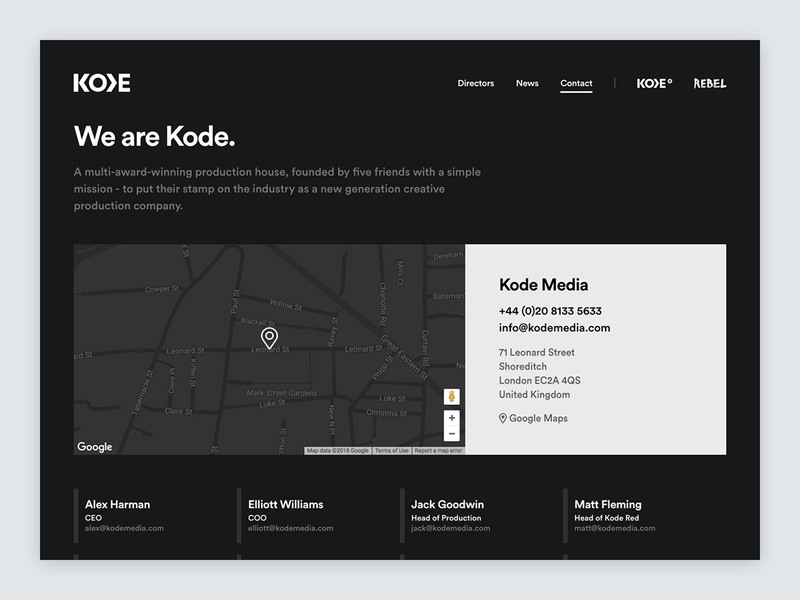 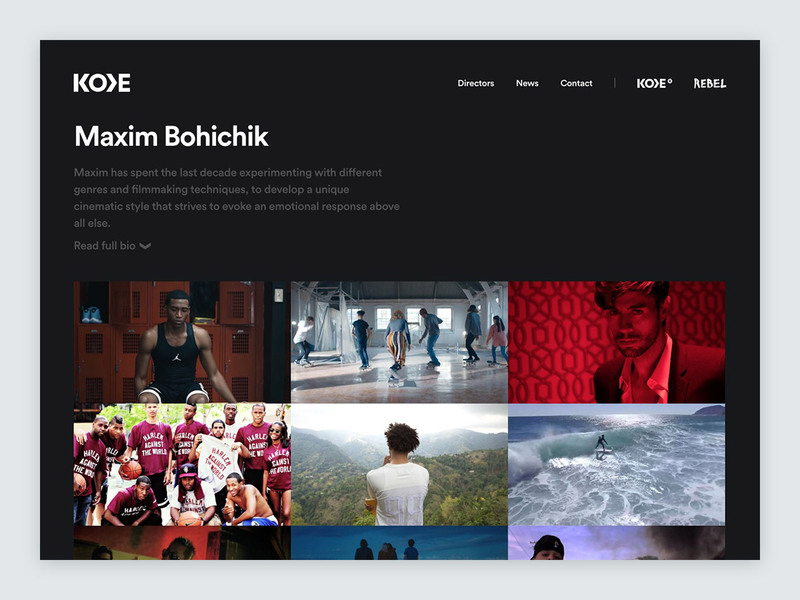 We worked with Kode to create their new website from the ground up, with a focus on minimal interface design that allows their amazing content to do the talking. 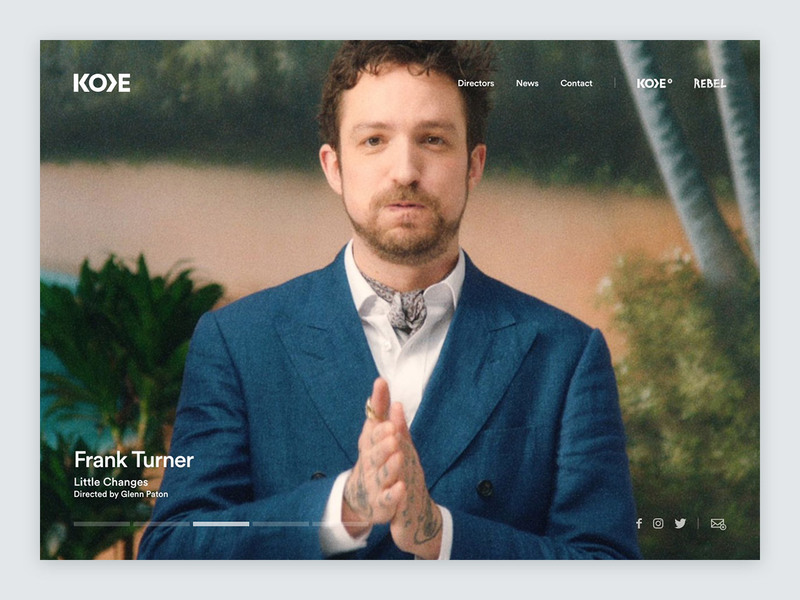 The new site makes use of full screen video, slick transitions and large imagery to create an immersive browsing experience for their savvy audience. 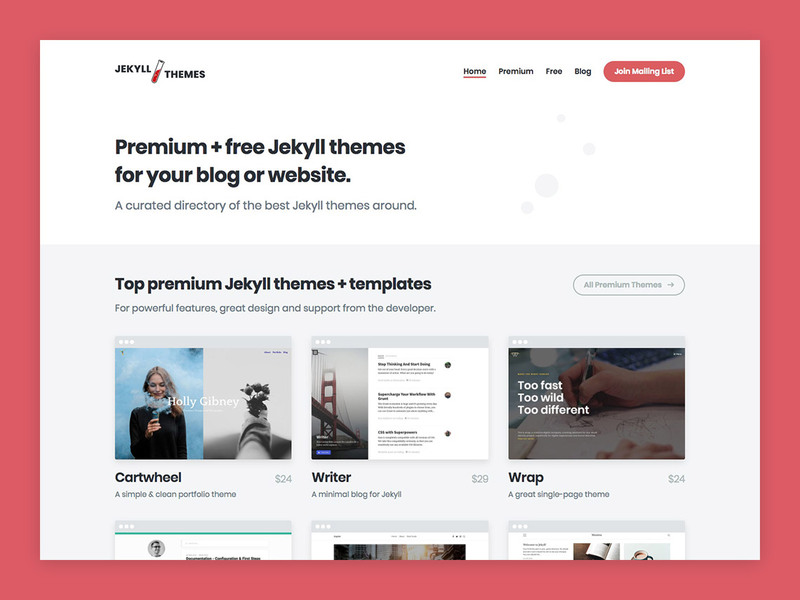 A curated directory of the best premium + free Jekyll themes. 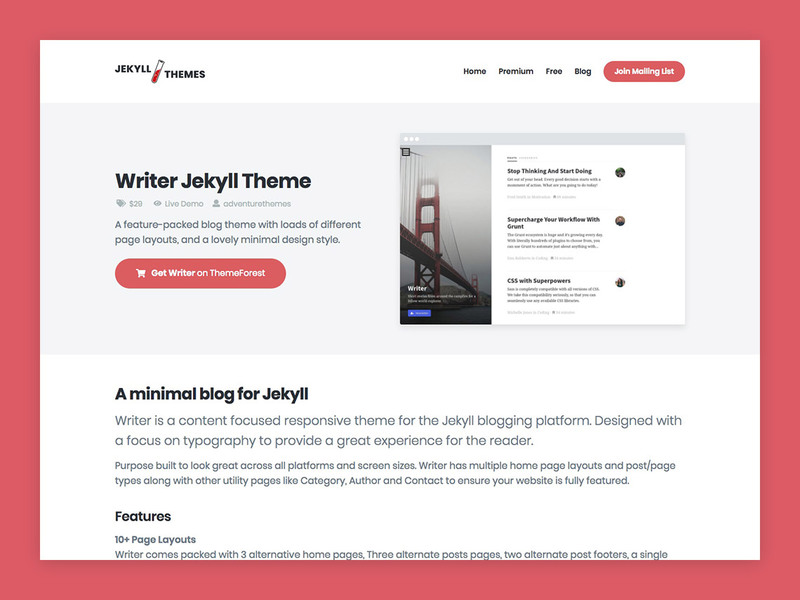 We recently took over JekyllThemes.io and have given it a fresh design make-over, and are busy turning it into the number one resource for all things Jekyll. 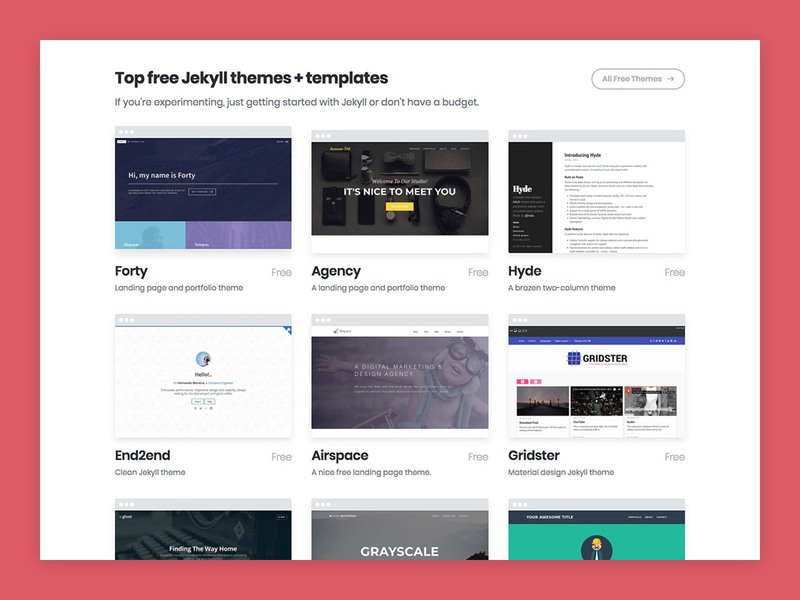 We’re also creating some exclusive premium themes, so stay tuned! 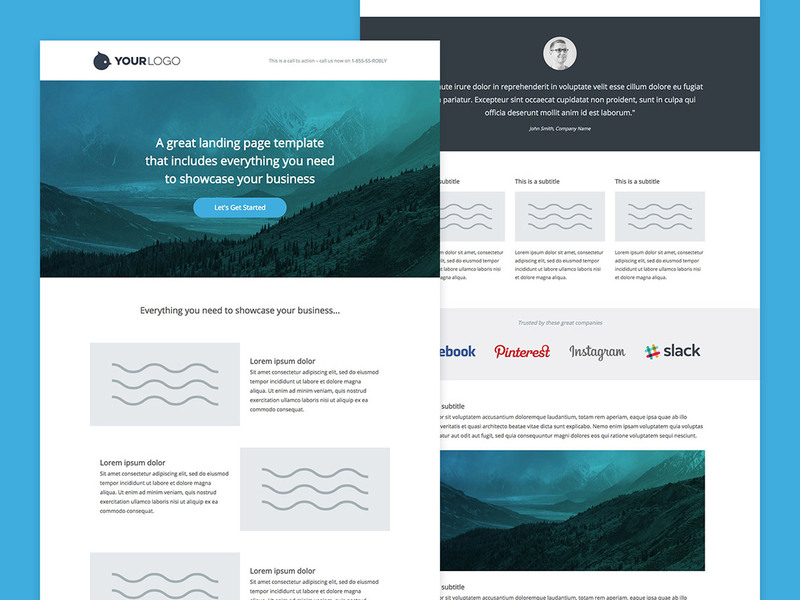 A landing page design overhaul for a successful plugin business. 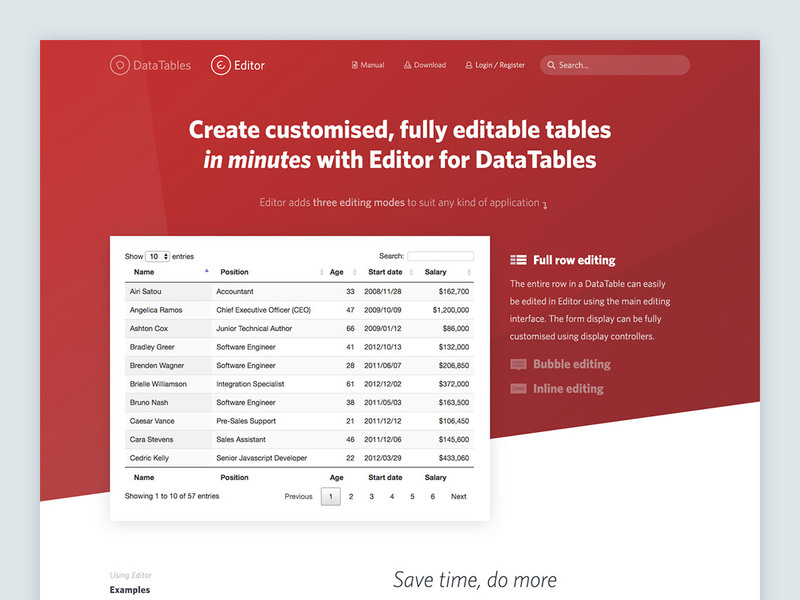 We worked with the DataTables founder to design new landing pages for their two main products. 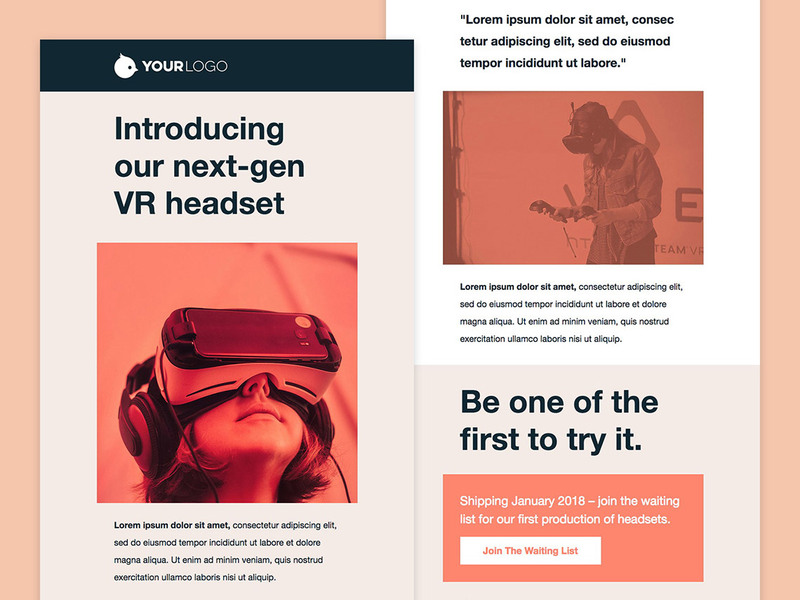 We created a modern and clean aesthetic that brought their existing brand up to date, and focused the content and design of the pages to encourage more signups, trials and purchases. 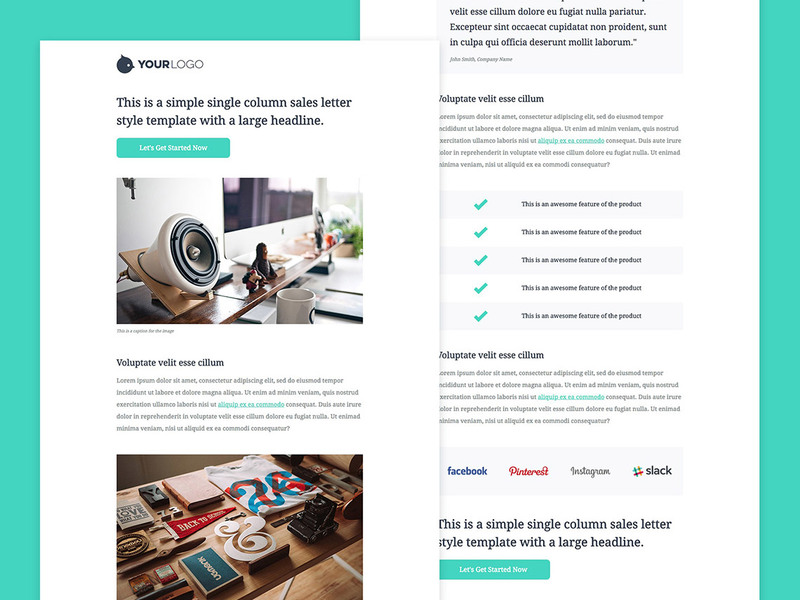 Landing pages, email templates and UI design/development for a fast growing marketing startup. 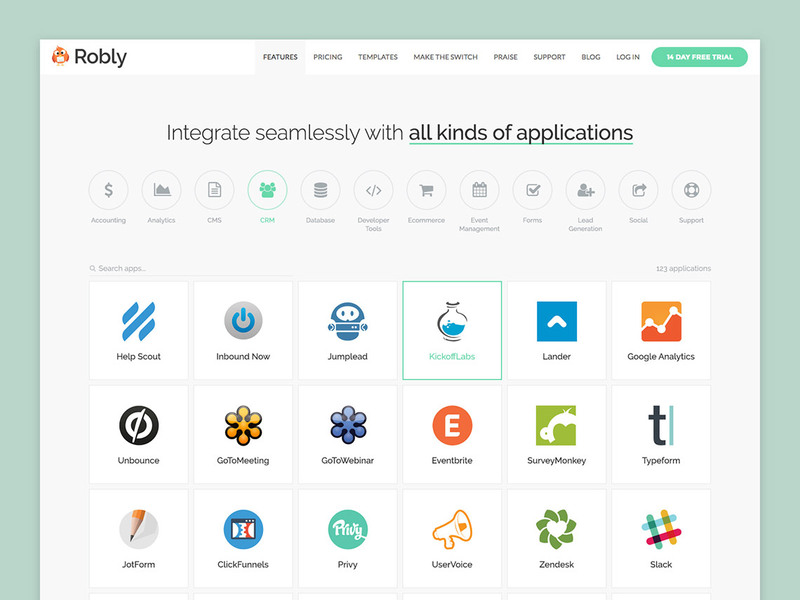 Robly came to us to help them launch their new landing page builder. 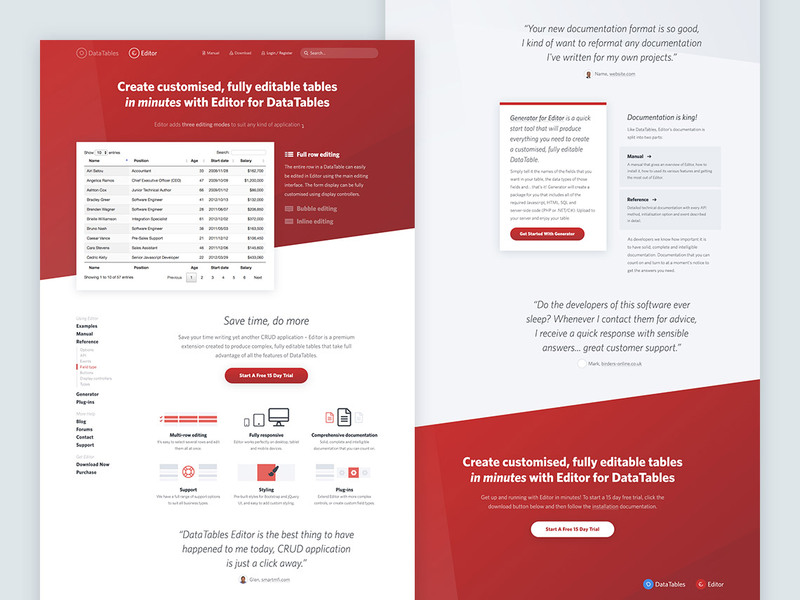 We created a suite of templates for their customers to use as a starting point for their own campaigns, using their own newly implemented page builder. 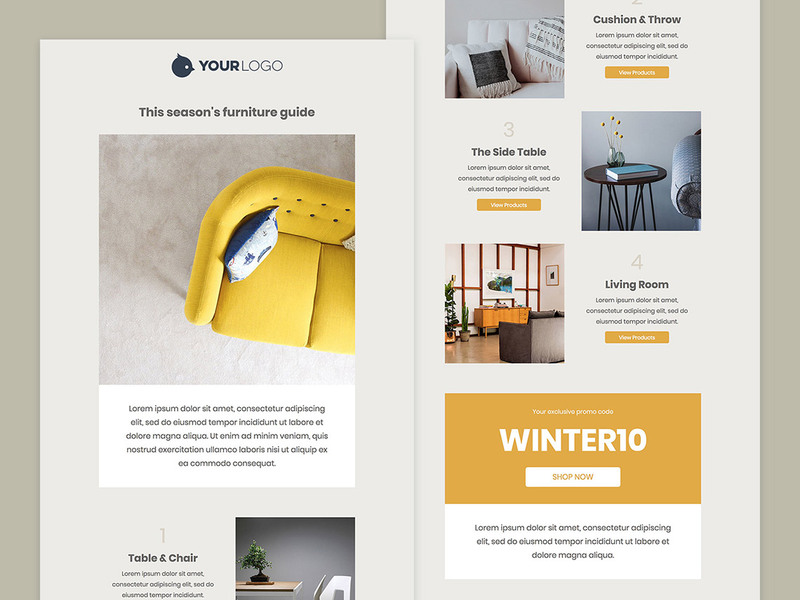 We also went on to design and build a bunch of email templates for a range of different industries, and helped them design and develop several new parts of their marketing site and app. 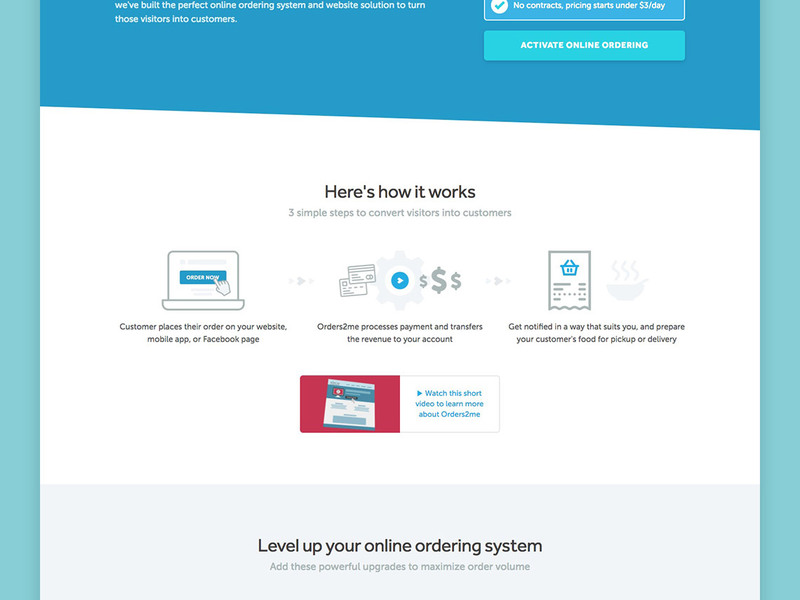 A high-converting landing page for an online ordering SaaS startup. 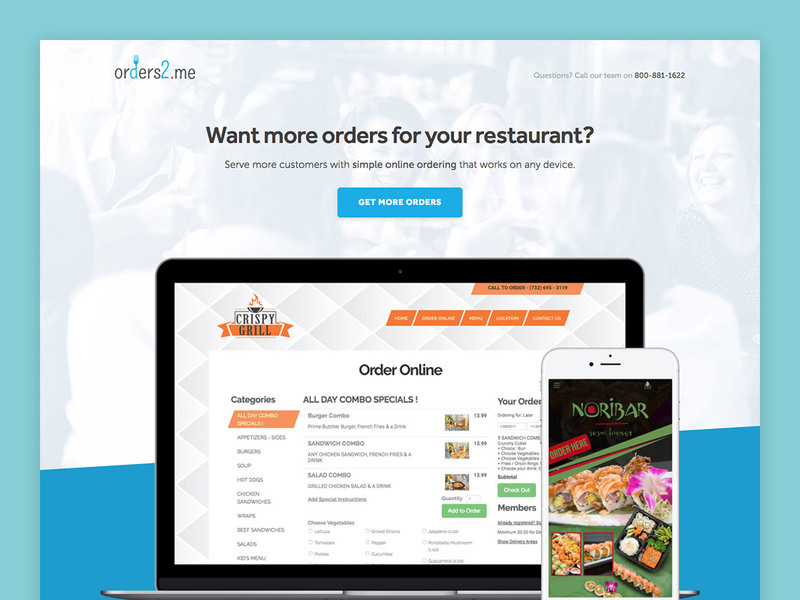 We worked with online ordering SaaS Orders2.me to totally transform their landing page. 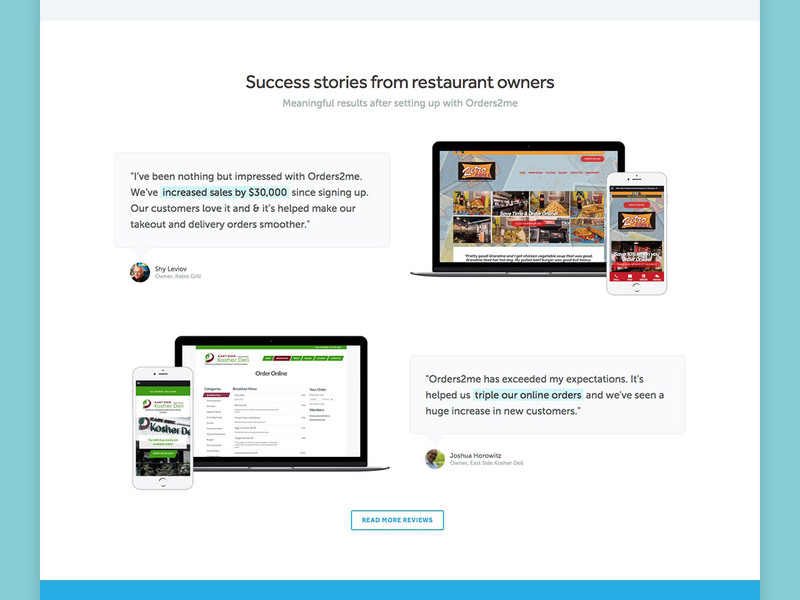 We helped re-structure their copy and write key headlines to communicate their value proposition in a way that engages their audience. 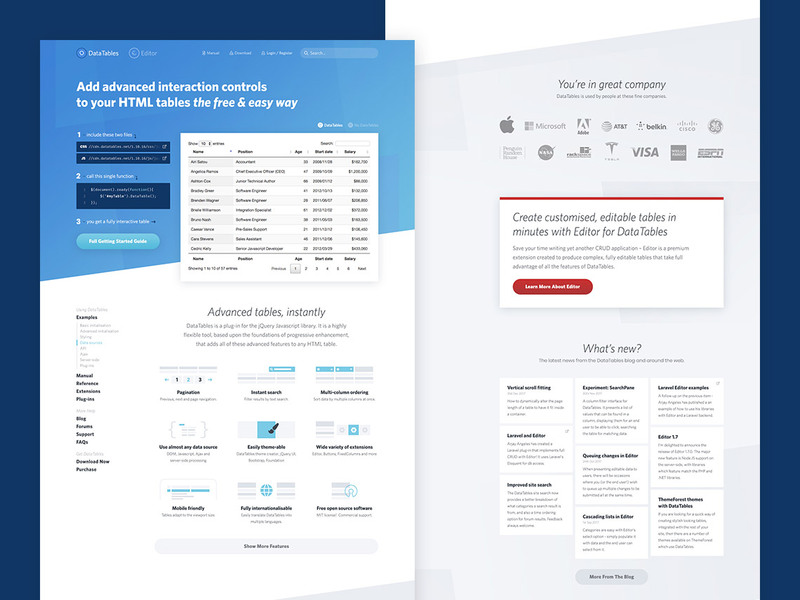 Then we designed and built a beautiful landing page to show off the product, build trust through customer testimonials and provide a clear call to action that generates new leads daily. 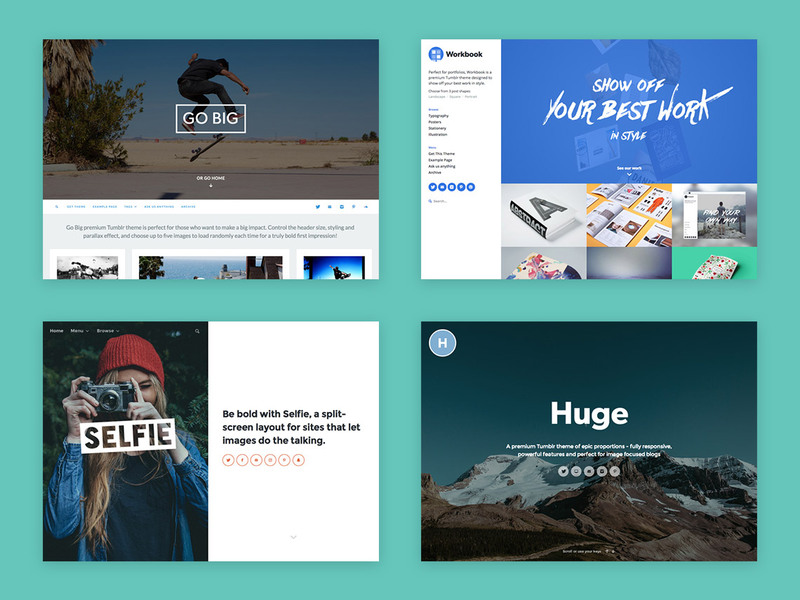 We love working with startups, entrepreneurs and other creatives to bring your vision to life. 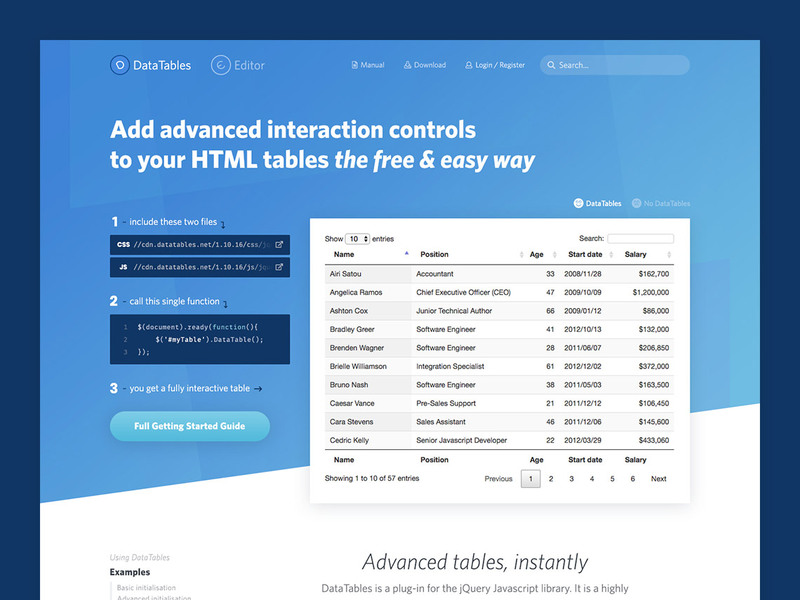 You can hire us to work on custom design and front-end development for websites, e-commerce stores and web apps. 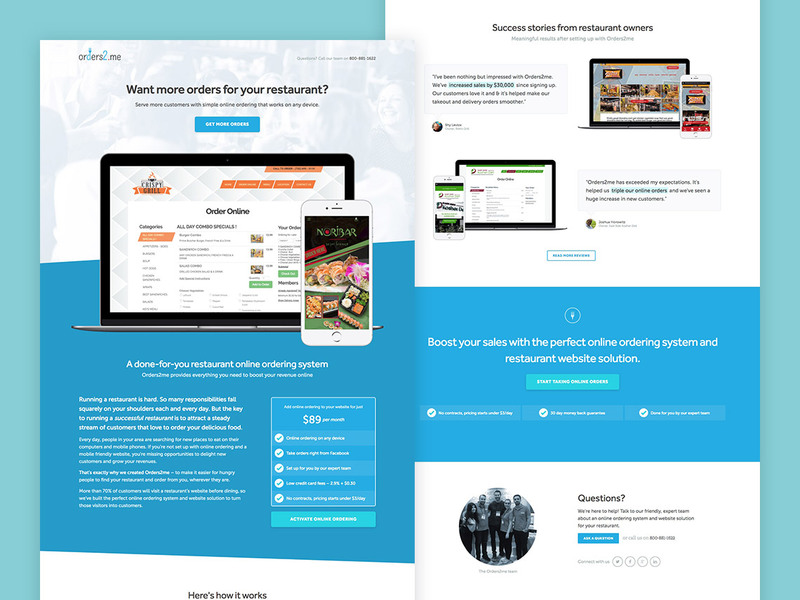 We deliver inspiring design solutions that create value for your business. 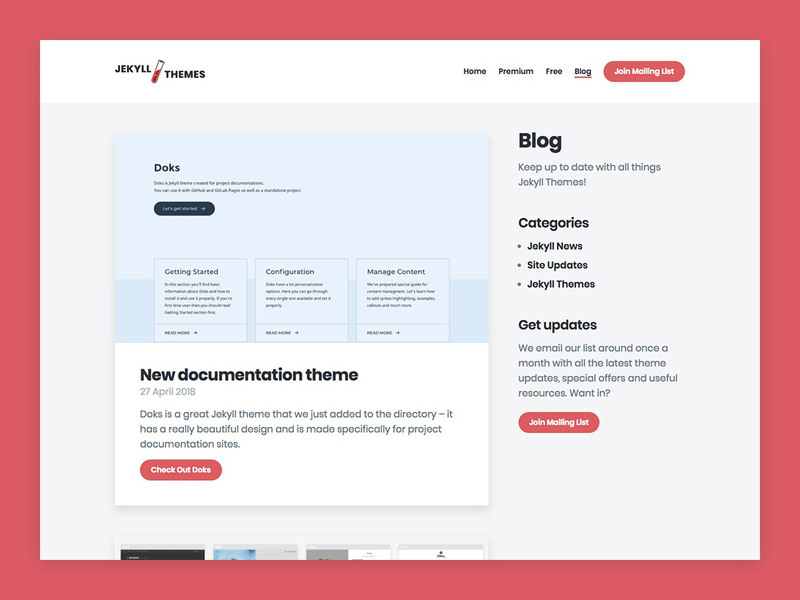 Let's do/make something awesome together! 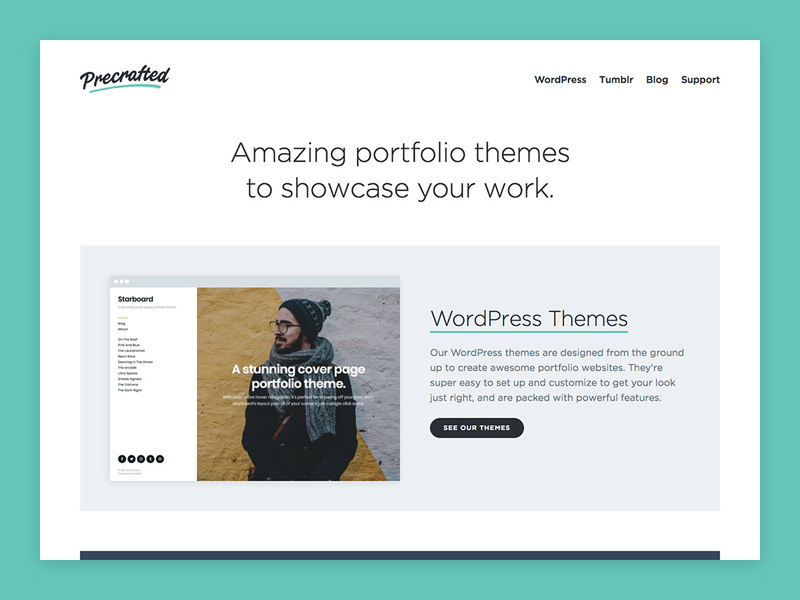 Whatever you're working on – we can provide beautiful and clever design solutions, rock solid front-end development, and deliver results that make a real difference to your business.